I’ve been working on these rubber stamps all week. 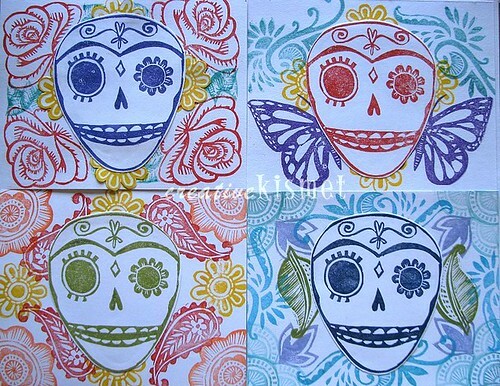 For making Day of the Dead (or Dia de los Muertos) art and cards. I’ve been having a lot of fun with them. Just stamp, stamp, stampin’ away! I’ll be getting this stuff, plus more Day of the Dead stuff in my shop all week. 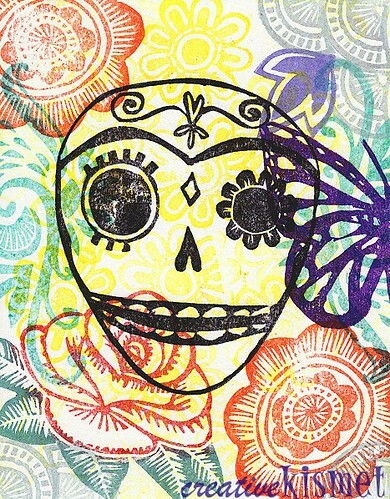 This entry was posted in Art, Stamps and tagged day of the dead, dia de los muertos, rubber stamp, skulls, stamp art. Bookmark the permalink. WOW! Those are awesome! Nice work sister, I love your stamps, amazing! If you want to have a Dia de los muertos card making fest I am game. I started some of my own last week! Wow, they are so fantastic, great work! They’re awesome! My daughter would love so be drooling over your Day of the Dead cards! Wonderful! What a great idea! Also I love all of your handpainted artworks. They are delightful! I saw these on craftzine. They are absolutely stunning! I love these! They are gorgeous! I might have to try to do some myself, although I’m pretty sure there is no way. I LOVE your stamps! I’ve used some commercial Day of the Dead stamps in a quilt that I’m making …and applique hanging of 2 dancing skeletons with designs all around them. woah – those are impressive!! They are gorgeous! Your drawings and carvings are simply perfect! I can’t tell you how awesome these are. I don’t know how. 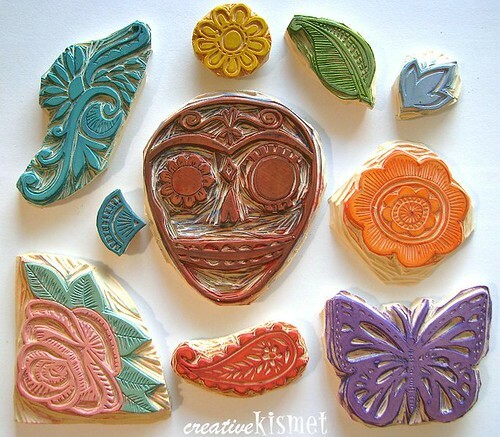 Came by your site from the CraftZine blog – absolutely *love* your hand-carved stamps and the art you have made from them.